Caruso was hand picked at Appleby Fair. 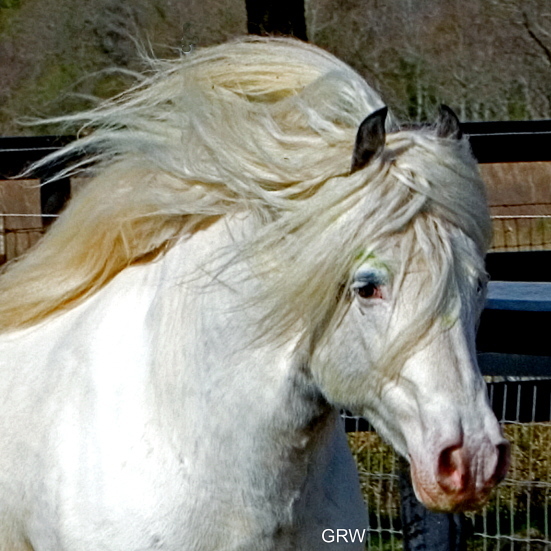 This horse has everything that a top class Gypsy should have: He is spirited and intelligent and has a great sense of humor tempered by a genuine, kind and gentle nature. 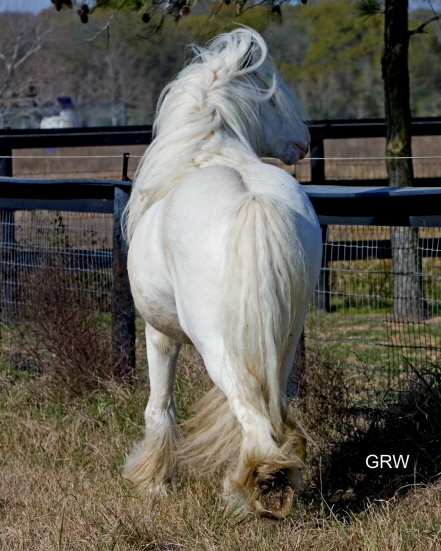 For a breeding stallion, he is easy and affable in hand. 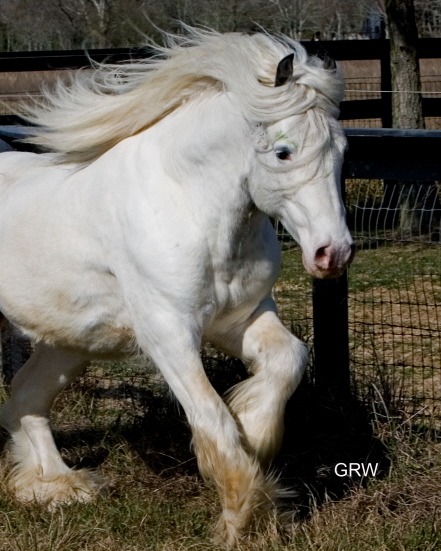 He is easy to train and has proved to be excellent in traffic. Personal statement by Anne Bevan: I have to say this young man is one of my favorites. I take pride in walking him through our village and showing him off. In all my years in the showering in England, I have never seen anything like him. 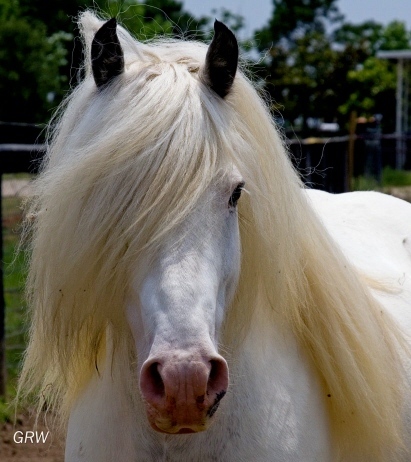 He has an abundance of mane and tail, his feathers drag the ground by three inches, and he looks like a unicorn! 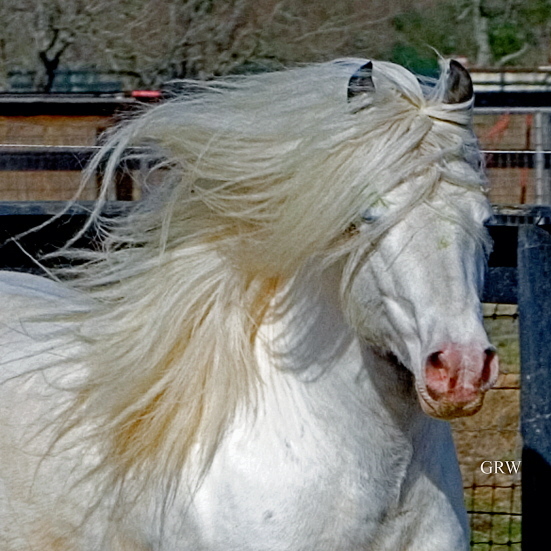 Caruso has the prettiest little head I have seen on one of these horses. 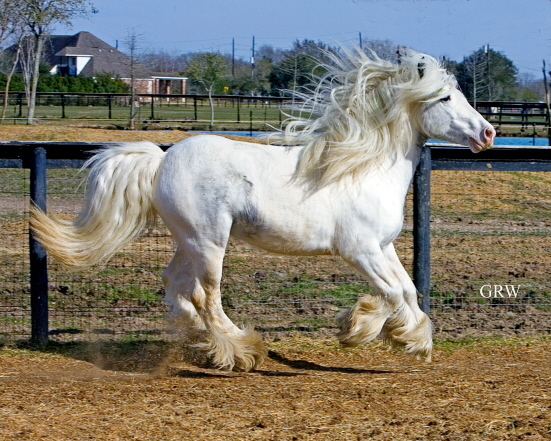 He has a stallion presence but the looks of a soft toy. As far as I know, there is nothing like him in America of his color and height. I find him a complete pleasure to look after and will regret the day I wave him off into the great wide yonder. 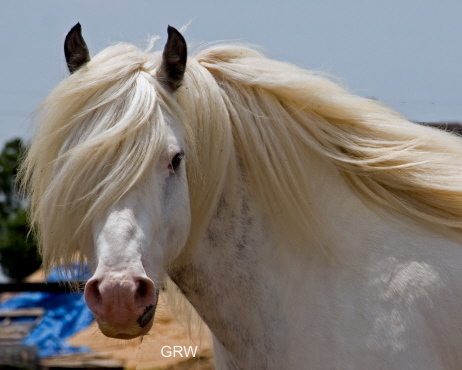 Update 9/16/2006: This stallion is now with geldings and other horses and loves them as a family member. 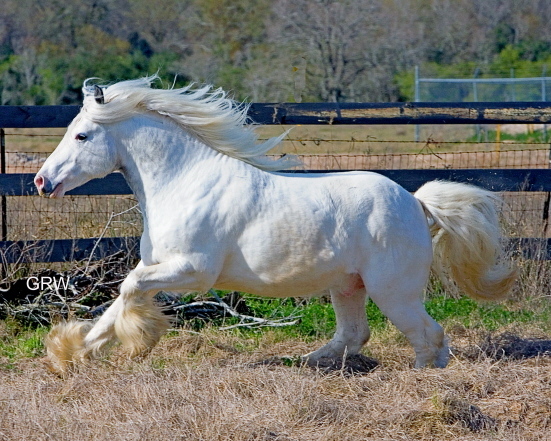 This is not typical stallion behavior of any breed. 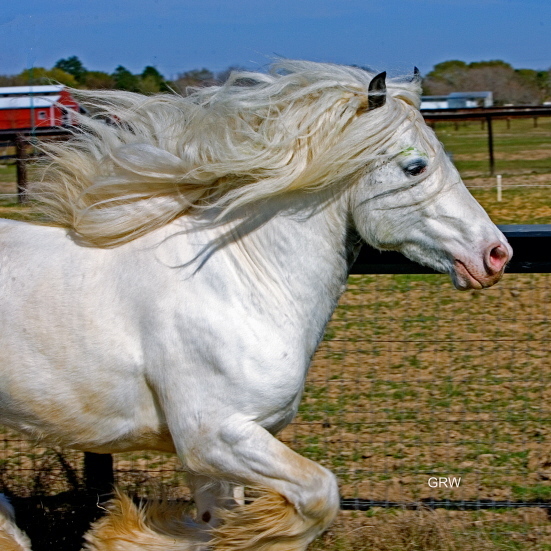 This boy is a real sweetheart with a lot of "heart”—something you can't breed for!